Nestled in the Portuguese countryside of the Algarve, is where you'll find Vilacampina - a modern and contemporary guesthouse enveloped in olive trees and surrounded by lavender groves. Located in the eastern part of the Algarve in the village of Luz de Tavira, it is approximately 7 km from the town of Tavira, just a short distance from stunning beaches that Algarve has to offer. Those seeking simplicity and tranquillity will appreciate this chic and homely Portuguese guesthouse. Sunbathed days poolside is one of the main perks, along with massages upon request and tasty meals at the hotel. Nine classic rooms with neutral tones are appointed within the white cooly-set building. They consist of six large double rooms, two small double rooms and one suite. All are kitted out with air-conditioning, satellite TV, private bathroom and well-appointed furniture, not to mention terraced balconies. The suite has the aforementioned in addition to a DVD player, tea kettle and minibar with fridge. 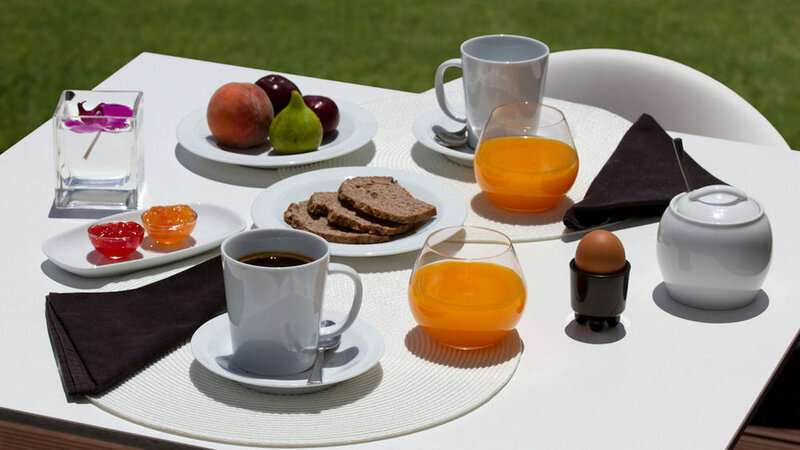 Breakfast consists of delicious pastries, cheese, cold cuts of meats and fresh fruit from the garden and eggs cooked to order. A children's playground makes visiting with family easy and guests can cycle around and discover the town and nearby beaches thanks to free bicycles at the hotel. Activities such as golf, watersports and horseriding can be arranged and the Ria Formosa Natural Park is five minutes away, with Faro, Lagos and Sagres all within easy reach.